If Patriarch Kirill fails to convince the Ecumenical Patriarch to abandon the idea of ​​granting the Tomos to the Ukrainian Orthodox Church, then he will most likely have to resign. Spokesman of the Kyiv Patriarchate, Archbishop Yevstraty Zoria expressed this opinion in an interview with RISU. “Rumor from Moscow has it that the Kremlin allegedly issued an ultimatum to Patriarch Kirill that if he loses Ukraine, he must resign. If he is unable to keep hold of Ukraine, the new Patriarch must come - and it is obvious on whom the Kremlin bets - Tikhon the Second, who by his qualities completely fits into Putin’s paradigm unlike Patriarch Kirill,” said the hierarch. “I do not know if these rumors about replacement are true, but they are quite logical. And therefore it is clear why Patriarch Kirill goes [to Istanbul]. Why would Constantinople need it? Constantinople needs this in order not to be the initiator of the war,” he added. 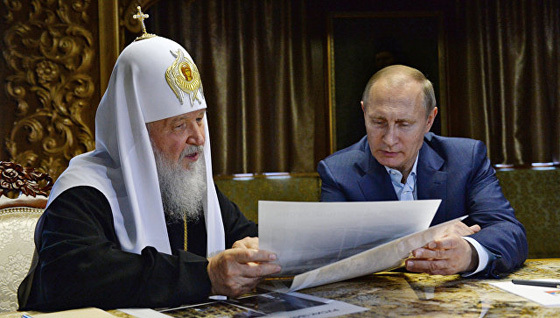 The Archbishop of the UOC-KP also noted that there was a certain tension between Patriarch Kirill and the Kremlin. “The main problem of Patriarch Kirill in his relations with the Kremlin is that he wanted to “reign himself and own everything”. His public problems, all these punk prayers, and so on - all began when he said that "the Patriarch of the Church of historical Russia is not the Patriarch of the Russian Federation, because historical Russia encompasses a considerably wider space. Presidents and Governments come and go, and the Patriarch remains.” And when he adopted the approach of Patriarch Nikon – the priesthood is above the kingdom - and the Russian authorities followed the line of Alexey Mikhailovich. Russian authorities put Patriarch Kirill into a place that the Patriarch should hold in their view: to create a beautiful image and obediently do what the tsar says. To look pious without having any own thought. Both in the royal and Soviet times, this was exactly the attitude of the authorities. Patriarch Alexis I, and Patriarch Pimen, and Alexis II were chosen by the Soviet regime precisely by this criterion: beautiful image, beautiful worship, sufficient intellectual level - but obedience and lack of initiative,” Archbishop Yevstratiy Zoria said. За РПЦ не волнуйтесь, там все в порядке. Лучше начните срочно сочинять новые фантастические объяснения и обоснования почему нет и не будет "томоса". После того, как 31.08 Варфоломей скажет, что никогда и нигде не говорил и не обещал никакого "томоса". Денисенко должен уже сегодня срочно что-то придумывать в своё оправдание, а то будет неуклюже выглядеть.